Problems with connectivity, censorship, costly service and the lowest cellphone and Internet penetration rates in the Western Hemisphere regularly limit information access in Cuba. For the first time in South Florida, a hackathon will bring together programmers to devise solutions. 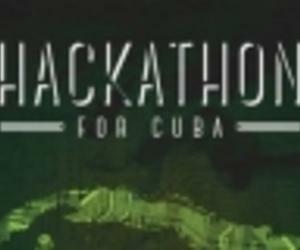 On Jan. 31, Hackathon for Cuba will gather a mix of developers, as well as tech experts familiar with Cuba’s information barriers, to create smartphone applications and other technologies aimed at strengthening communications and information access in Cuba. Cuban blogger Yoani Sanchez is also expected to participate, organizers said. The event is organized by the Miami Beach-based nonprofit Roots of Hope and backed by the John S. and James L. Knight Foundation. “There is a great demand in Cuba for applications that work without access to the Internet and technological tools that improve the everyday life of Cuban people," said Natalia Martinez, chief innovation & technology officer at Roots of Hope ( Raíces de Esperanza), which has run a Cellphones for Cuba campaign since 2009. Roots of Hope is a nonprofit network of more than 4,000 students and young professionals who help empower Cuban youth through technological and entrepreneurial solutions. “It’s very important to engage programmers, including recent arrivals, and getting all these voices to the table is invaluable,” Martinez said. The hackathon idea was born during a Roots of Hope visit to Silicon Valley with Yoani Sanchez, who plans to participate in the hackathon‘s opening presentation either in person or by Skype. Martinez said the organization also wants to hold Hackathon for Cuba events in San Francisco and New York later in the year. Typically one- or two-day contests where programmers form teams to build apps and compete for prizes, hackathons are fairly common in South Florida now and are also becoming more specialized. In recent months, events have addressed immigration reform and education. For this one-day hackathon, organizers are not expecting finished products but hope the teams will continue to work on the applications after the event, Martinez said. Developers Jose Pimienta and Osniel Gonzalez will be competing. Co-founders of the startup Vinylfy, Pimienta moved from Cuba in 2009 and Gonzalez arrived in mid-2012. The Hackathon for Cuba, free and open to the public at The LAB Miami in Wynwood, will kick off at 7 p.m. on Jan. 31 with a reception and presentation on the current state of technology and digital access in Cuba. The programming begins at 9 a.m. on Feb. 1, and the event ends with judging and prizes that evening. To register: www.rootsofhope.org/hack.